1 This Promotion is only open to consumers who have ‘followed’ The Collective Kids Instagram page (@thecollectivekidsuk), ‘liked’ the competition post on the page, ‘tagged’ a friend in the comments below the competition post and have correctly filled out the web form. Entrants must be legal residents of United Kingdom, Channel Islands and Isle of Man aged 18 or over. This offer excludes employees of the Promoter, their families, agents or anyone else professionally conntected with this promotion. 2 Promotion Period: Enter between 19.00 GMT on 22ndOctober 2018 and 00:00 GMT on 29thOctober 2018. 3 No purchase necessary; however, internet access, a valid email and postal address are required. 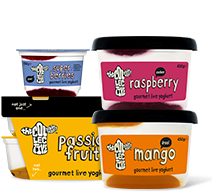 4 To Enter: Visit http://thecollectivedairy.com/free-suckies-couponand submit your full name, email and address to claim coupon. 5 Maximum one entry per person throughout the Promotion Period. 6 All entries must be received by the end of the Promotion Period to be valid and no liability is accepted for illegible, incomplete or late entries. 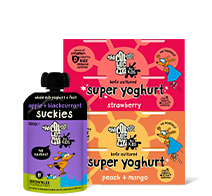 All full entries received during the Promotion Period will receive 1 x free suckies yoghurt pouch coupons redeemable in most UK supermarkets. Terms and Conditions apply to coupon which can be found on front and back of coupon. 8 Coupon will be sent in the form of paper voucher in the post. Coupons are redeemable in most UK supermarkets. Coupons are not redeemable online. 9 The coupons are non-transferable, are not exchangeable and have no cash alternative in whole or in part. 10 In the event of unforeseen circumstances the Promoter reserves the right to substitute the prize for an alternative of equal or greater value. 11 Please allow up to 30 days for delivery of the coupons from the Promotion end date on 29th. Prizes from the date of winner acceptance after completing form. 12 Winner Selection: All valid entries up to 5000 max. received by the Promotor during the Promotion Period will be eligible to receive 1 x free suckies yoghurt pouch coupon. 13 The Promoter reserves the right to verify the eligibility of entrants. The Promoter may require such information as it considers reasonably necessary for this purpose and a offer may be withheld unless and until the Promoter is satisfied with the verification. 14 All entries must be made by the entrant themselves. Bulk entries made from trade, consumer groups or third parties will not be accepted. Incomplete or illegible entries, entries by macros or other automated means (including systems which can be programmed to enter), and entries which do not satisfy the requirements of these terms and conditions in full will be disqualified and will not be counted. If it becomes apparent that an entrant is using a computer(s) to circumvent this condition by, for example, the use of ‘script’, ‘brute force’, masking their identity by manipulating IP addresses, using identities other than their own or any other automated means in order to increase that entrant’s entries into the Promotion in a way that is not consistent with the spirit of the Promotion, that entrant’s entries will be disqualified and any prize awarded will be void. 15 No responsibility is accepted for entries lost, damaged or delayed or as a result of any network, computer hardware or software failure of any kind. Proof of sending will not be accepted as proof of receipt. 17 The Promoter cannot accept any responsibility for any damage, loss or injury suffered by any entrant entering the Promotion or as a result of accepting or participating in any prize. Nothing shall exclude the Promoter’s liability for death or personal injury as a result of its negligence. 18 If for any reason the Promotion is not capable of running as planned for reasons including but not limited to tampering, unauthorised intervention, fraud, technical failures or any other causes beyond the control of the Promoter which corrupt or affect the administration, security, fairness, integrity or proper conduct of this promotion, the Promoter reserves the right (subject to any written directions given under applicable law) to disqualify any individual who tampers with the entry process and to terminate, modify or suspend the Promotion. 19 If an act, omission, event or circumstance occurs which is beyond the reasonable control of the Promoter and which prevents the Promoter from complying with these terms and conditions the Promoter will not be liable for any failure to perform or delay in performing its obligation. 20 Successful entrants will be required to participate in any reasonable publicity arising from the Promotion. 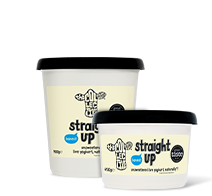 21 The name and county of recipients will be available by sending an email to hello@thecollectivedairy.comafter 29thOctober for 4 weeks. 22 By entering this Promotion, all participants will be deemed to have accepted and be bound by these terms and conditions. 23 The Promoter’s decision is binding in all matters relating to this Promotion, and no correspondence shall be entered into. 24 The Terms and Conditions of this Promotion shall be interpreted and applied on the basis of English Law and the Courts of England and Wales shall have exclusive jurisdiction. 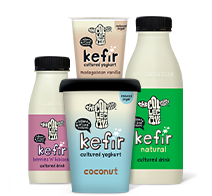 Promoter: Epicurean Dairy UK Ltd. ,Huckletree West, Media Works Building, 191 Wood Lane, London, W12 7FP.